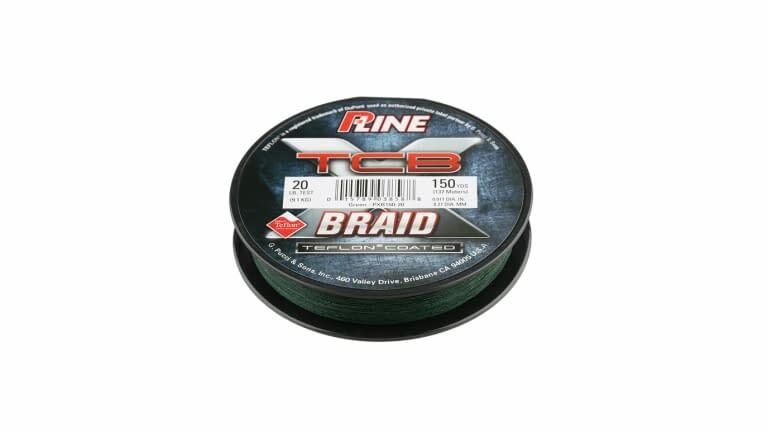 Covered with DuPonts Teflon surface protector, the P-Line TCB Teflon Coated Braided Line offers better casting, more abrasion resistance, and a superior knot strength. Created with an extremely tight weave, the P-Line TCB Teflon Coated Braided Line has an amazing strength-to-diameter ratio and virtually zero stretch. Built to fly through guides, the smooth surface of the P-Line TCB Teflon Coated Braided Line reduces friction on casts, resulting in increased distance and accuracy. Great for spinning and casting gear, the P-Line TCB Teflon Coated Braided Line wont dig into your spool on strong hook sets, so the cast after your catch is just as fluid as the first of the day. Going above-and-beyond angler expectations, the P-Line TCB Teflon Coated Braided Line provides a technologically advanced construction that anglers can count on.